5 000 copies are printed and distributed on various platforms – offices, hotels, restaurants, curio stores, petrol stations, book shops, shopping malls etc. Webpage on a range of approximately 5-10 marketing websites e.g. www.south-africa-info.co.za, www.western-cape-info.com, www.activities-south-africa.co.za, www.knysna-information.co.za, www.businesses-south-africa.co.za. (See example advert). A digital copy of the magazine will be available for clients that would prefer to use the publication online : Ezine Magazine Example. Internet marketing directories cover a whole range of niche markets across South Africa – province sites, town sites, region sites, weddings, businesses, activities, country, travel, accommodation, restaurants. Integrated Marketing has a established the SA Info Magazine range which as a unique product combining print media, digital and video exposure. 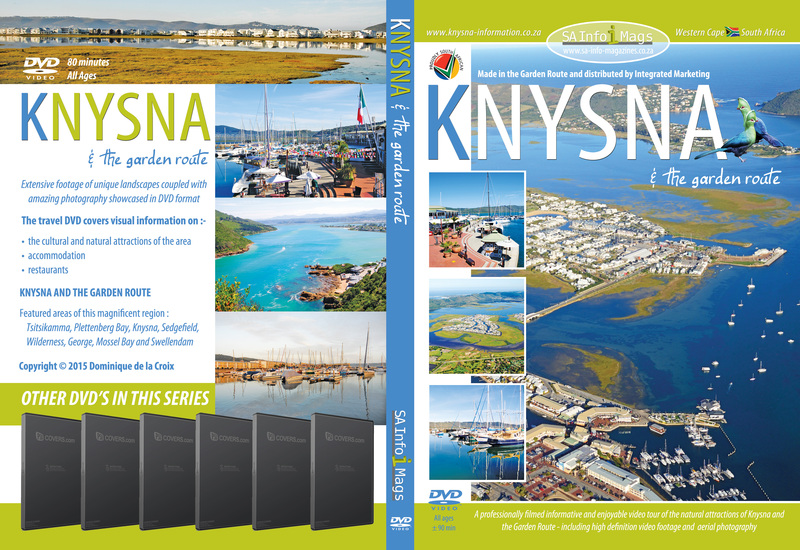 The publication is an A4 full colour high gloss publication with the present publications including Knysna, Swellendam to Mossel Bay, Oudtshoorn, Garden Route and the Klein Karoo, Plettenberg Bay to Tsitsikamma, Overberg, Cape Town to Port Elizabeth Route book. The magazine includes information on the town or area concerned, day trips, events, activities, restaurants, conservation, maps, important numbers and lots more. Distribution is to hotels/ B&Bs, curio outlets, petrol stations, restaurants, book stores, farm stalls etc. Apart from the exposure advertisers receive in the publication, we have included a range of web exposure options that all advertisers receive. Advertisers are placed on a minimum of 10 marketing websites. Country Sites : South Africa, Namiba, Botswana, Zambia, Zimbabwe, England, Wales, Scotland, United Kingdom, etc. Province Sites : Western Cape, Eastern Cape, North West Province, Gauteng, Limpopo, KwaZulu-Natal, etc. Portal Sites : Weddings, Business, Activities, Restaurants, Travel, Retail, Backpackers, Game Lodges, Wine Farms, etc. Town Sites : George, Knysna, Cape Town, Port Elizabeth, Johannesburg, Durban, East London, Mossel Bay, London, Cardiff, etc. Route Sites : Garden Route, Route 62, Cape Town to Namibia, etc.